Do you find the routine of mid-week mealtimes a bit dull and same-y? Between prepping and cooking dinner and then battling with the kids to eat their food, it can all feel a bit like groundhog day. 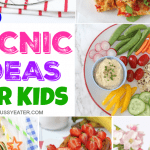 But this summer Higgidy are celebrating the season of spontaneous picnics and have challenged me to create fun and delicious picnic spreads whenever the moment takes me! 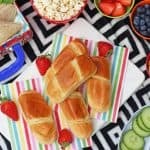 Dinnertime can really be quite stressful some days in our house and so I decided to surprise the kids with a delicious and fun back garden picnic. The weather was being a bit temperamental that day; glorious sunshine mixed with big threatening drops of rain; and so I decided to make a little pop-up tent from a picnic blanket and a couple of chairs. The kids absolutely loved it, and it was so nice to see such excitement on their faces compared to the usual groans and moans when we sit down to dinner at the table! 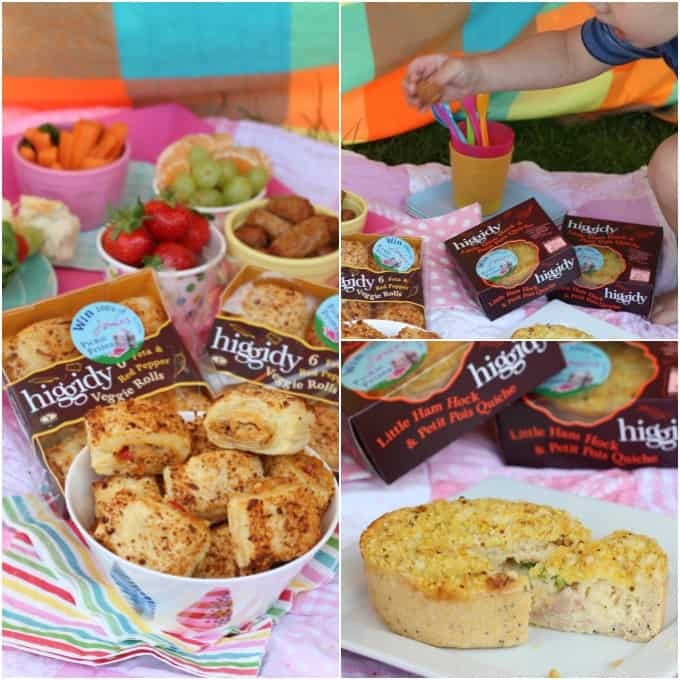 We ate some delicious quiches from Higgidy, including the brand new Little Ham Hock & Petit Pois Quiche. We also tried some of their super tasty new Veggie Rolls filled with Red Pepper and Feta. We had cocktail sausages, fruit and vegetable crudites and I made some really colourful sandwich skewers. 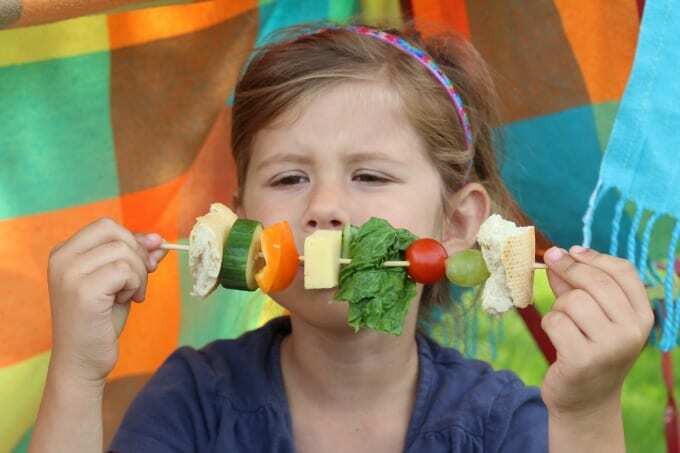 These sandwich skewers are so easy to make and the kids go crazy for them. Basically it’s just a deconstructed sandwich! 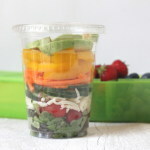 I used french bread, cheese, lettuce, cucumber, tomatoes, peppers and grapes and simply skewered them onto a wooden stick. They really added to the pop-up picnic vibe and were far more exciting than a boring old sandwich for the kids! 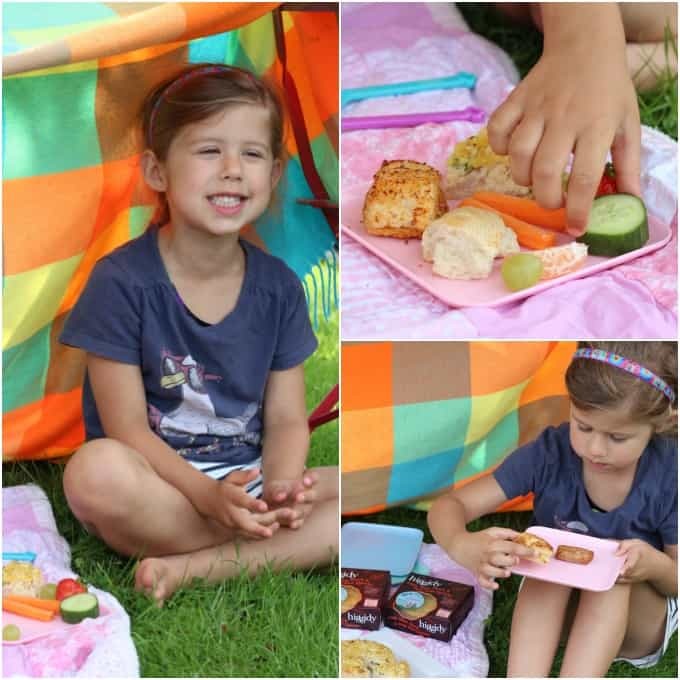 This summer Higgidy have teamed up with British lifestyle brand Joules on a special pack promotion where hundreds of Joules picnic prizes can be won. Keep an eye out for the special stickered packs in store and then enter your unique code online! Higgidy have really inspired me to get a bit more creative with mealtimes and enjoy some lots more spontaneous picnics in the garden and out and about too. 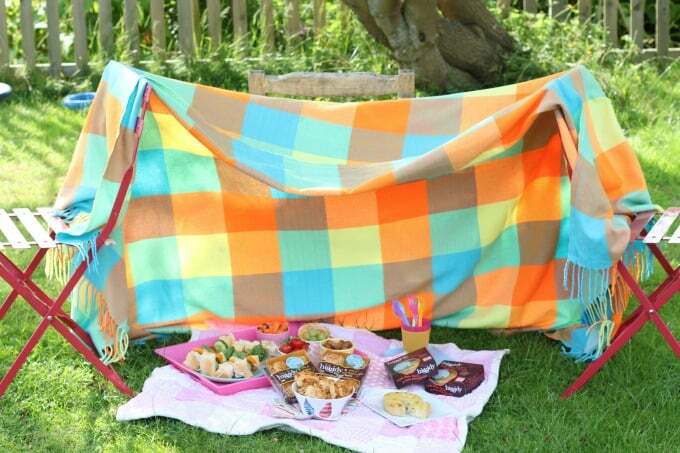 Do you have any ideas for fun pop-up picnics? Let me know in the comment below. DISCLOSURE: This post has been sponsored by Higgidy but as always, all thoughts and opinions are honest and are my own. What a lovely idea! Can’t wait for summer now so we can do this! Love the tent made out of a couple of chairs and a blanket! I remember doing this so often as a kid 🙂 the food all looks delicious! Sandwich skewers are pure genius! Thanks Emma. The kids loved it! And it stopped them from moaning as they usual do during dinner! !